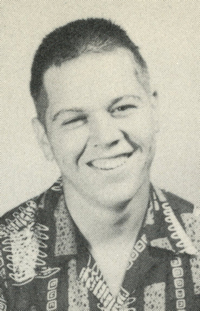 Obituary – Cook, Jr., Arthur Carl « Perry High School Alumni Association, Inc.
﻿F.F.A. 49-53, Class Assemblies 49-50, Junior Play 51-52, Football 52-53, Basketball 51-52, Baseball 51-52. Graveside service with military honors for Arthur “Cookie” Cook Jr. will be 2:30 p.m. Thursday, April 26, 2012, in Covington Cemetery, Covington, Okla. The family will receive friends 6-7 p.m. today at Ladusau-Evans Funeral Home and 1-2 p.m. Thursday at First Baptist Church of Covington. Arrangements are under the direction of Ladusau-Evans Funeral Home. Memorials may be made to First Baptist Church of Covington or American Legion Post 190. Cookie passed away Monday, April 23, 2012. He was born Oct. 21, 1935, in Polo, Okla., to Arthur and Lorraine Cook Sr. 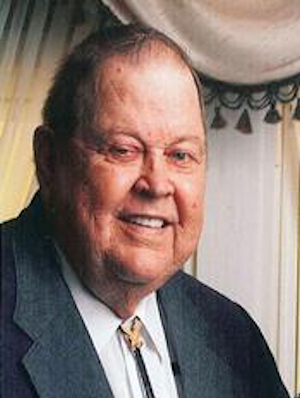 He attended grade school at the Sinclair Oil Field in Polo, Okla., and graduated from high school in 1953 in Perry, Okla. After high school he attended Draughn Business College. In 1954 he joined the U.S. Air Force. He married Myrna Alger May 8, 1955, at Schilling AFB, Salina, Kan. They had three daughters, Kim, Sondra and Tammy. He retired after 20 years with the U.S. Air Force and went to work at Vance Air Force Base, retiring after 24 years of service. He was an avid OU fan. He loved to fish, garden and do woodworking. One of his favorite things to do was watch his kids, grandchildren and great-grandchildren play sports. He looked forward to organizing the small Air Force Reunion in Branson, Mo., every year and reliving old war stories! He also loved the 40th Bomb Wing reunions they attended. He was a member of American Legion Post 190 and a lifetime Honorary Girl Scout after serving the Girl Scouts at Beale AFB, Caifornia. He is survived by his loving wife of 57 years, Myrna; three daughters, Kim Smelser, Sondra and Eddie Easterly, all of Covington, Okla., and Tammy and Bobby Hankins of Lahoma, Okla.; six granddaughters, Brandi and Drew Sharp, Heather Easterly, April and Scotty Boling, Jamie and Craig Keiter, Krystal and Brad Kroeker, and Chelsea Hankins; seven great-grandchildren; brother and sister-in-law, Byron and Billie Alger.